Lil Wayne done gone country as a member of Little Big Town, at least that’s what the good people at the American Music Awards think … TMZ has learned. Clearly, somebody done screwed up and sources familiar with the blunder tell us Weezy just got 5 AMAs! The only problem is 4 of them don’t belong to him … they’re for the hit-making country music band. Now, LBT did win 4 trophies at last year’s award show, while Wayne took home one. It’s pretty clear what happened here — just a Lil mix-up. 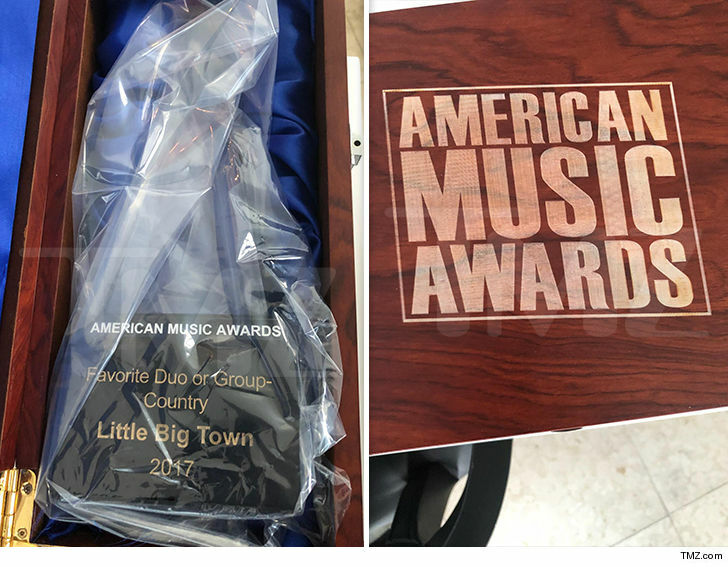 We’re told Wayne did receive his actual AMA trophy — Favorite Rap/Hip-Hop Song for “I’m the One” — but the people really getting screwed here are Little Big Town. Our sources say the band’s awards are still at Casa de Weezy, because he and his team — especially Young Money Prez Mack Maine — have no clue who to contact to get the hardware to LBT. Wayne’s just not that plugged in to the country world, but we see an opportunity here. Let’s face it … Lil Wayne’s Big Town would be LIT!! !